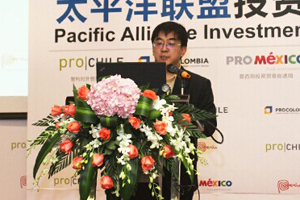 Brief：The Pacific Alliance held its 3rd investment forum in China on Nov 27th in Beijing. 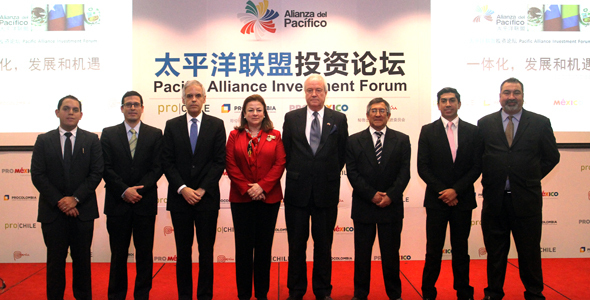 The Pacific Alliance held its 3rd investment forum in China on Nov 27th in Guangzhou. The Pacific Alliance was established to create a more deeply integrated economic area among Chile, Colombia, Mexico, and Peru, to foster growth, development, and competitiveness for its member countries, and to create more opportunities for trade, investment and cooperation with the Asia-Pacific region and the rest of the world. There is a vast export market. There is 206 million population in the Pacific Alliance. In 2013, the combined GDP was reached US $1.7 trillion of the member countries represented 38 percent of the total for Latin America and the Caribbean, which placed it as the 8th largest economy in the world. It also becomes the 6th foreign direct investment destination in the world. The four members of the Pacific Alliance separately introduced their superior resources, preferential policies for overseas investment and projects covered many fields. The Pacific Alliance is keen to attract Chinese investment into its agriculture, agricultural industry, natural resources (including energy, oil, minerals) and infrastructure development. "There are great potential exists for cooperation between southern China and the alliance," said Julian Ventura, ambassador of Mexico to China. 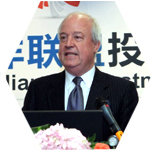 The Pacific Alliance Forum has held successfully in Beijing and Shanghai. The 3rd forum makes an important first step in promoting the opportunities in the alliance among businesses to Canton area in China. 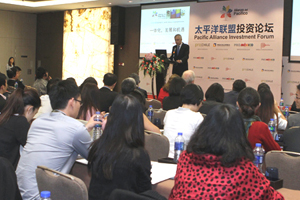 Most famous companies in Guangdong province attended this forum. Guangdong accounts for one-ninth of the country's gross domestic product (GDP) and about 25 percent of the country's foreign trade and foreign direct investment (FDI). 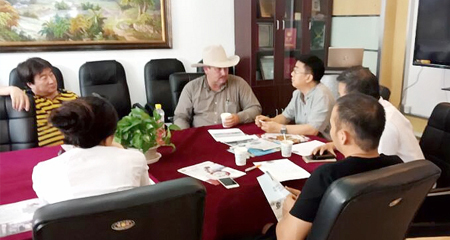 “Increasingly Guangdong businesses are interested in investing abroad. 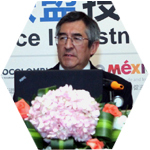 With the complementary nature in the economies of Guangdong and the Pacific Alliance and the drive for industrial transformation in the province, the prospect for cooperation is promising,” Chen Qiuyan, chairman of Guangdong Sub-Council of China Council for the Promotion of International Trade. 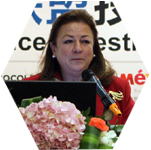 The China Business Network was chosen by Pacific Alliance to co-ordinate the Investment Forum in Guangzhou.